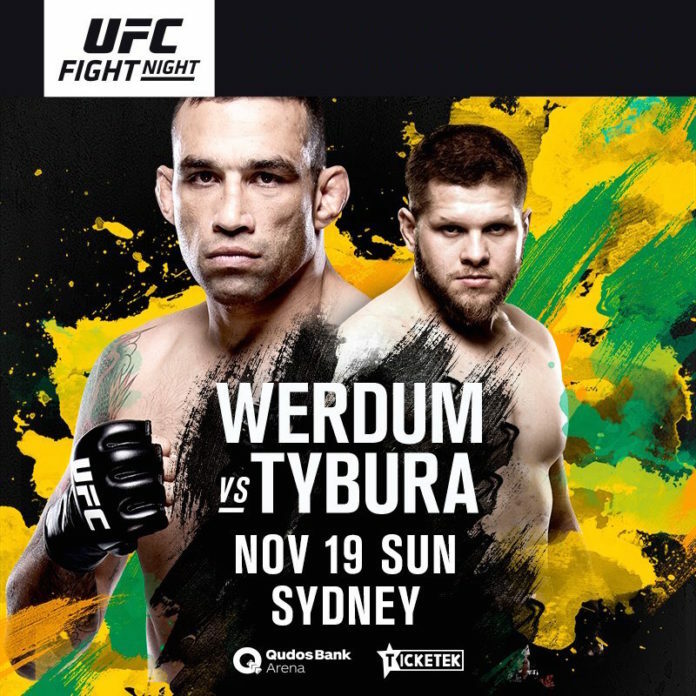 UFC Fight Night 121 takes place on Sunday November 19 at the Qudos Bank Arena in Sydney. The event was expected to be headlined by the heavyweight bout between Kiwi-Australian Mark Hunt and Poland’s Marcin Tybura. On Wednesday the promotion announced that “Super Samoan” no longer battles out on the night, and is replaced by Fabricio Werdum. “Due to medical concerns, heavyweight contender Mark Hunt has been removed from his UFC Fight Night main event bout against Marcin Tybura on Nov. 19. The decision is reportedly made in follow up to Hunt’s recent blog in Players Voice, titled as “If I die fighting, that’s fine”. “My body is fucked but my mind is still here. I’ve still got my senses about me and I know what’s right and wrong, which is the main thing,” says the post among everything. *Last week MMA Today reported that Canadian Jeremy Kennedy was forced to pull out from his featherweight bout against Australian Alex Volkanovski due to back injury. To date UFC has not formally announced the change. The bout is currently featured on its official website.